Collaborative Design, Ltd. was commissioned to design a 42,891 total square foot, 3-story multi-tenant professional office building primarily to accommodate medical or dental office/clinic related tenants. 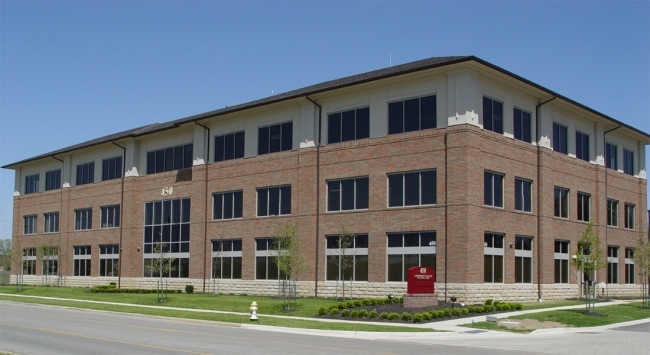 The building was designed in keeping with the aesthetic corporate theme of the City of Westerville, Ohio and CDL has provided the tenant improvement designs for all subsequent tenants. Regis Witt 3,144 sq. ft. Bradigan 1,977 sq. ft.
Shephard Law 1,322 sq. ft. Global Insurance 3,491 sq. ft.
Younkin & Younkin Dental 2,552 sq. ft. Dr. Ports 1,609 sq. ft.
Dr. Ryzenman 2,593 sq. ft. Dr. Mallik 2,270 sq. ft.
Dr. Ramos 2,533 sq. ft. Dr. Thomas 1,410 sq. ft.
Columbus Sleep 2,504 sq. ft. R2 Logistics 2,782 sq. ft.
Comprehensive Eyecare 330 sq. ft. Ohio Gastroenterology Group 2,533 sq. ft.